Portable Pampering is a mobile beauty and holistic therapy service specialising in high quality home treatments in Shenley, Radlett and Borehamwood (Hertfordshire). We also travel further afield with an established client base located throughout London. It is owned and run by Sara Shaffer, a therapist with over 20 years’ experience working in top Mayfair salons including Harrods and Michaeljohn. You can be assured of professionalism and confidentiality at all times. Please see our client recommendations and press coverage. Portable pampering offers a deluxe manicure using an endurance polish called Gelish. The polish used is applied like a polish but is long lasting like a gel. All aspects of a manicure treatment are performed by Sara who takes care to make sure that the hands and nails look immaculate and the client feels pampered and relaxed. The transition into the teen years can be difficult for young girls, with changes to skin and more self-awareness of appearance. Sara is a qualified, practising teacher of beauty therapy and offers a range of sensitive teen and pre-teen packages which are designed especially to provide condfidence in skin care and subtle makeup application. As a qualified, practising teacher of beauty therapy, ensuring that the next generation of therapists work to the same high standards of client care that are so important is close to Sara's heart. We offer a range of 'salon excellence' packages which are designed especially for salon owners who wish to maintain and improve the standards of treatments offered by the therapists in their salon. Why not treat a friend with one of our special gift vouchers. 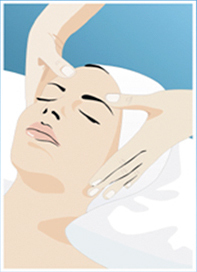 Specialist in mobile beauty london, beauty therapy, reflexology and pamper party. © 2008 Portable Pampering. Online Business Consultant - Mark Benjamin.